Continuous non‐contacting ultrasonic level measurement is based on the time of flight principle. An ultrasonic level instrument measures the time between sound energy transmitter from the sensor, to the surface of the measured material and the echo returning to the sensor. As the speed of sound is known through the travel medium at a measured temperature, the distance to the surface is calculated. Level can be calculated from this distance measurement. Echo Processing built in to the instrument can allow the instrument to determine the material level of liquids, solids or slurries even in narrow, obstructed or agitated vessels. Ultrasonic is seldom used in upstream hydrocarbon process stream for level measurement; it might be used in atmospheric utilities applications. In applications which are susceptible to vapour density variation, compensation reference pin should be used. Maximum measurement distance should be checked against the technology (above 30 m the reflectivity may be reduced and might cause a measurement error/problem). Ultrasonic sensors have, as physical limitation, a blocking distance (close to the sensor) where they cannot measure reliably, e.g. 0.25 metres. Vessel pressure limitation should approximately be, e.g. 0.5 bar or less. Higher pressure may introduce uncertainty in the level measurement. Vapour, vacuum or temperature gradients can influence the speed of sound and consequently can cause incorrect measurements. Presence of foam or heavy turbulence on the surface of the measured material can cause unreliable measurement. As ultrasonic is non‐contacting, even abrasive or aggressive materials can be measured. Vessel height and head room should be considered to select an instrument with suitable minimum and maximum range. Ultrasonic sensors should be made of a material suitable for the measured medium (e.g. PVDF or ETFE) Solid construction and a self‐cleaning action on the face of the sensor provide a reliable, low maintenance product. Performing an initial or ‘empty calibration’: In this principle, ‘enter’ the distance E from the sensor face to the minimum level (zero point). It is important to note that in vessels with parabolic roofs or bottoms, the zero point should not be more distant than the point at which the ultrasonic wave reflects from the tank bottom. When possible, a flat target plate that is parallel to the sensor face and directly below the sensor mounting position should be added to the bottom of the vessel for best empty tank performance. Once the empty distance has been set, the high calibration point or 100% full point can be set. This is done either by setting the distance from the sensor face to the 100% full level or by entering a span (level) from the 0% or low calibration point to the 100% full level. 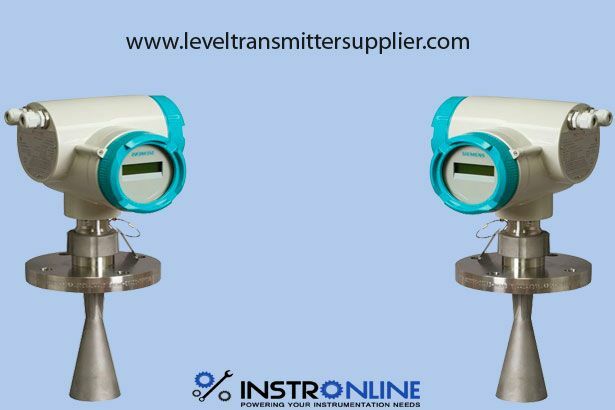 During commissioning, ensure that the 100% full or high calibration point does not enter the ‘blocking distance’ or ‘blind zone’ of the respective sensor. This will vary from sensor to sensor. Blocking distances or blind zones can be extended to avoid false high level reflections caused by obstructions, but they can only be reduced to a certain distance due to the physical limitations of the sensor itself. The minimum level (distance E/zero point) should be configured. This zero point should be above any dished boiler heads or conical outflow located at the bottom of the tank/vessel. The maximum level (distance F/full span) should be configured. This distance F should take into account both BD ‘blocking distance’ and SD ‘safety distances’. Where BD represents a dead zone in which the wave cannot make any measurement and SD corresponds to a warning or an alarm zone.